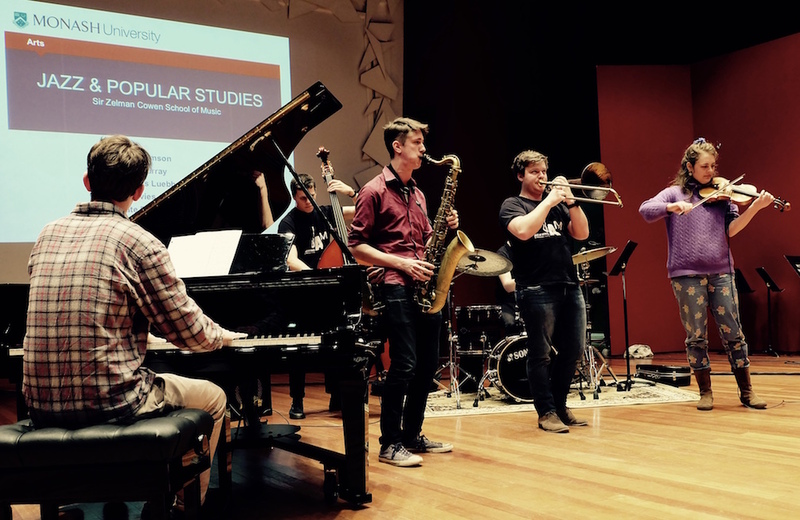 The Jazz and Popular Studies program at Monash University is the centrepiece of wide-ranging music-based curriculum of the Sir Zelman Cowen School of Music. The program is based on the African American jazz idiom that music can be used as a language for learning, and the program itself focusses on Australian music while embracing a wide selection of musical styles including jazz, world music, Brazilian, Indian, free, electronic, popular, and Latin styles. The philosophy of the course is to offer a strong technical and musical foundation that allows the student to develop a distinctive personal ‘voice’ which is a result of their broad musical education and an awareness of their social and cultural being.